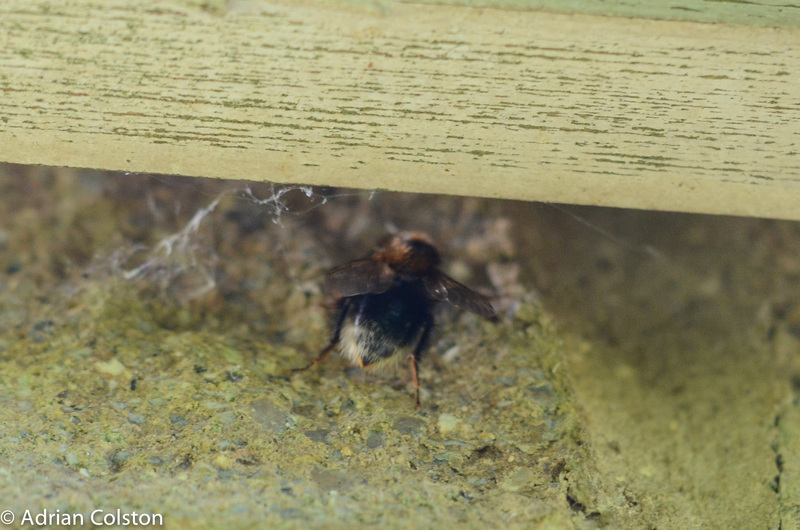 I’ve got a colony of tree bumblebees nesting under my eaves. 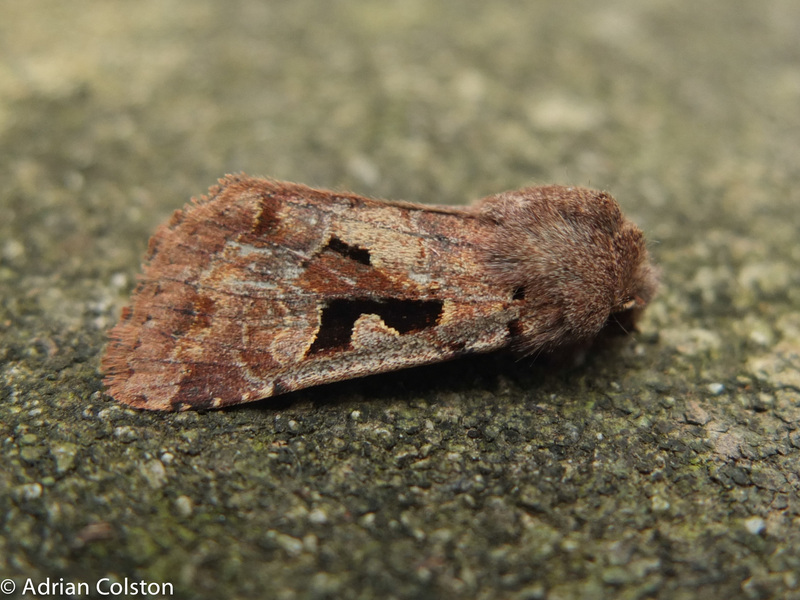 A species which has recently colonised the UK and has become very common. Lots of them foraging in the garden. Distinctive ginger thorax and a white tail. Off in search of the next flower. 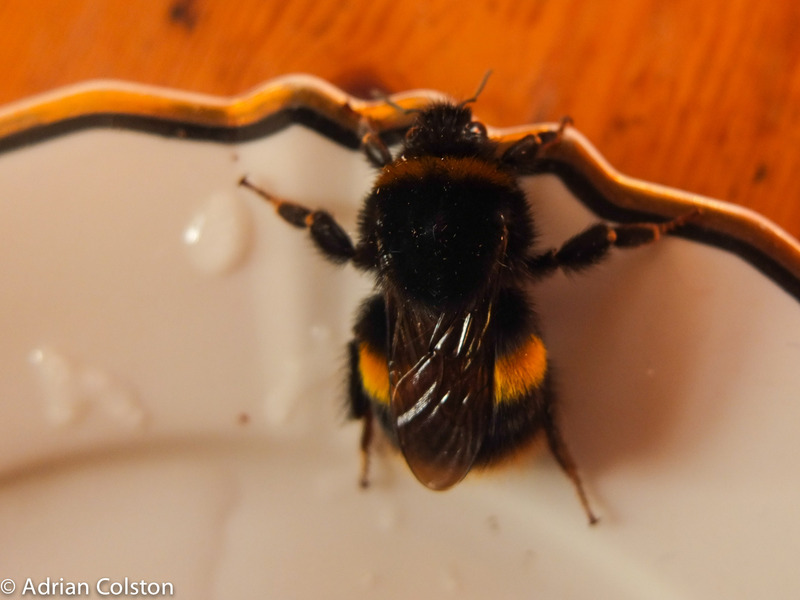 I found this bumblebee in the garden a couple of days ago and it is not all that it seems. 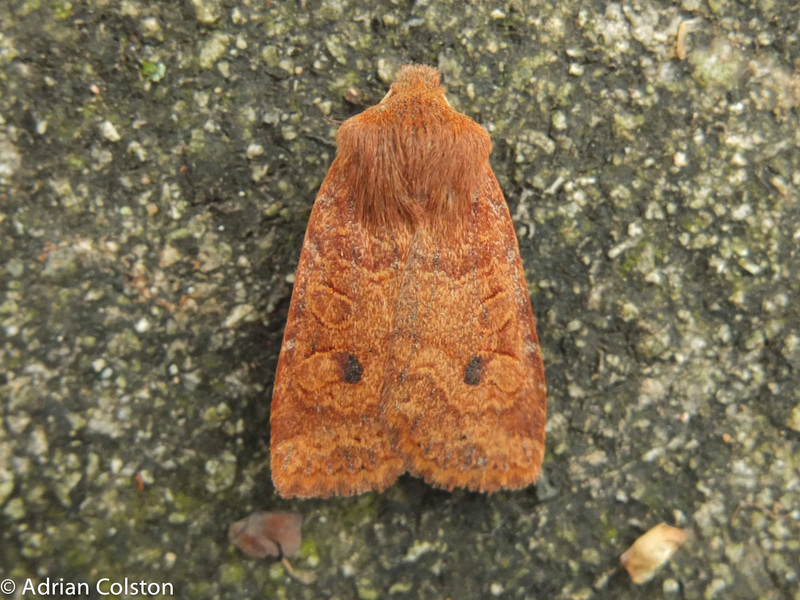 The wings are darkened and the back between the wings is almost devoid of hairs. In addition the buff, yellow, black and white patterning is a little unusual. 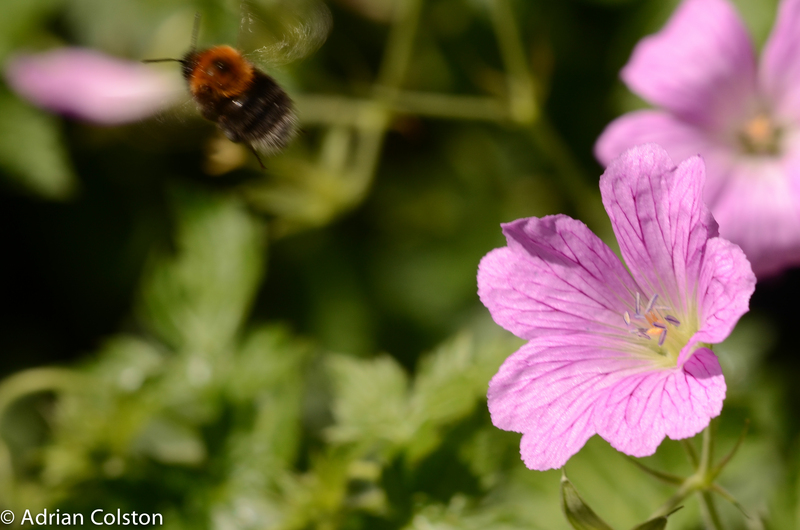 This is not a bumblebee, it is a cuckoo bee – the Vestal Cuckoo Bee (Bombus vestalis). 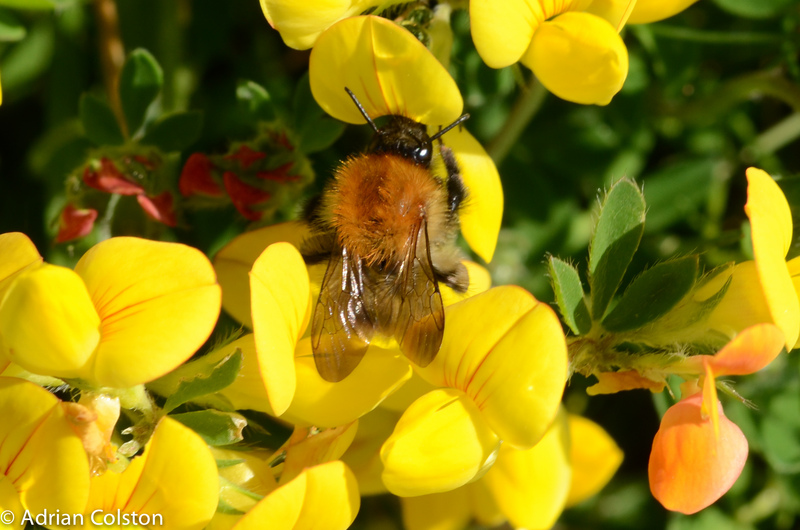 Cuckoo bees are very closely related to bumblebees but behave rather differently – as their name suggest they behave the the bird of the same name. 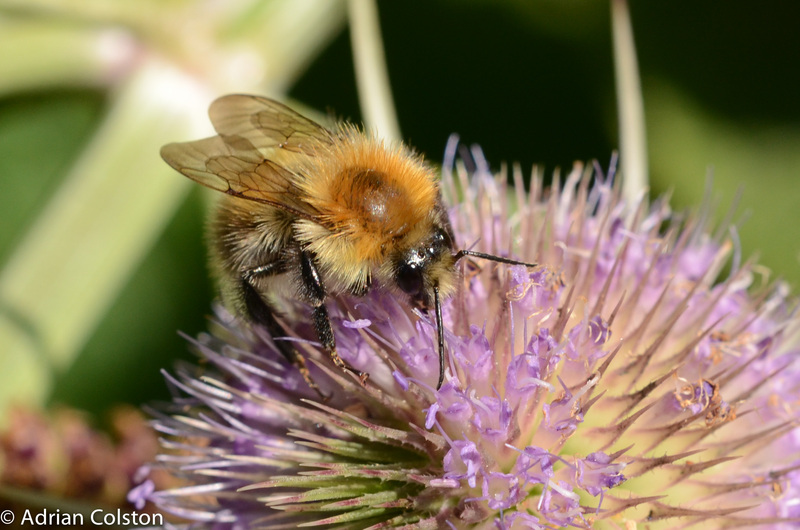 They lay their eggs in the nest of a bumblebee (in the case this species the buff-tailed bumblebee (Bombus terrestris) and then feed off the host’s food stores and are fed by the host’s worker bees. 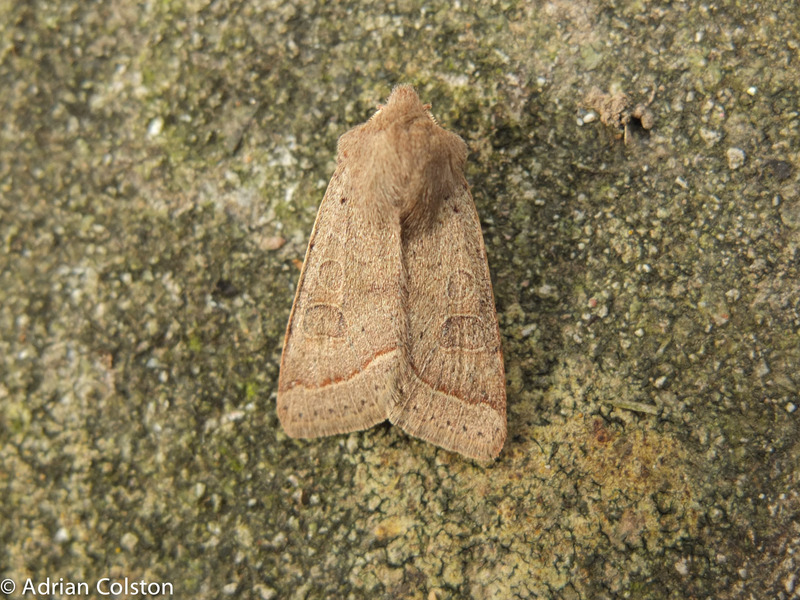 The numbers of moths in my trap are beginning to build up with the milder weather. 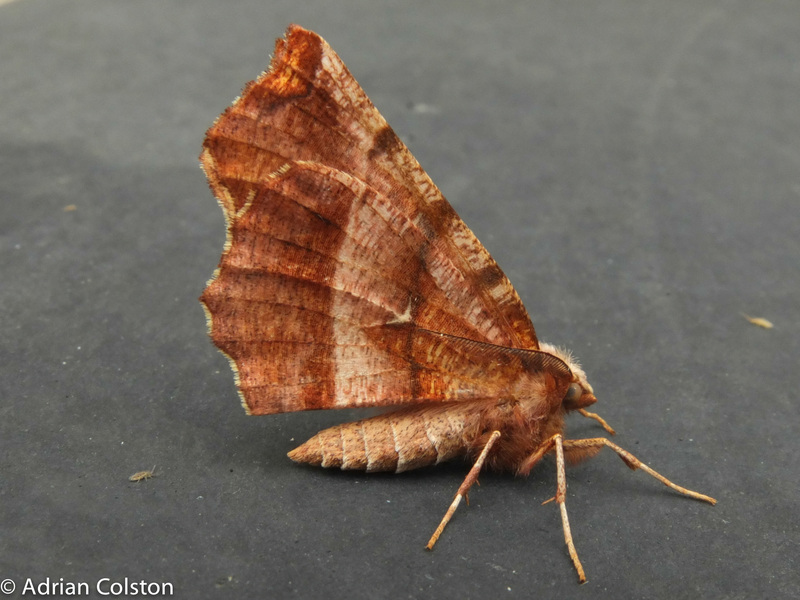 This is an Early Thorn – love the beady eye! 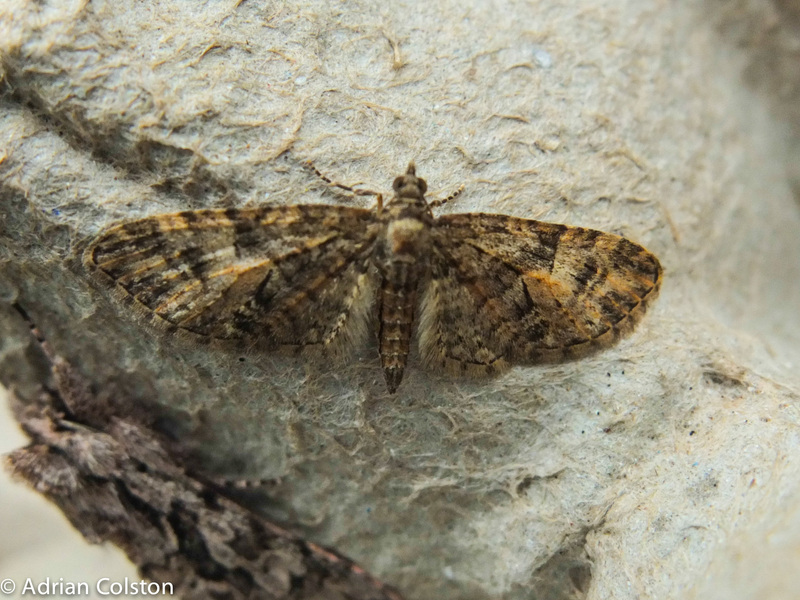 This is a Brindled Pug – pugs are not very easy to identify …. 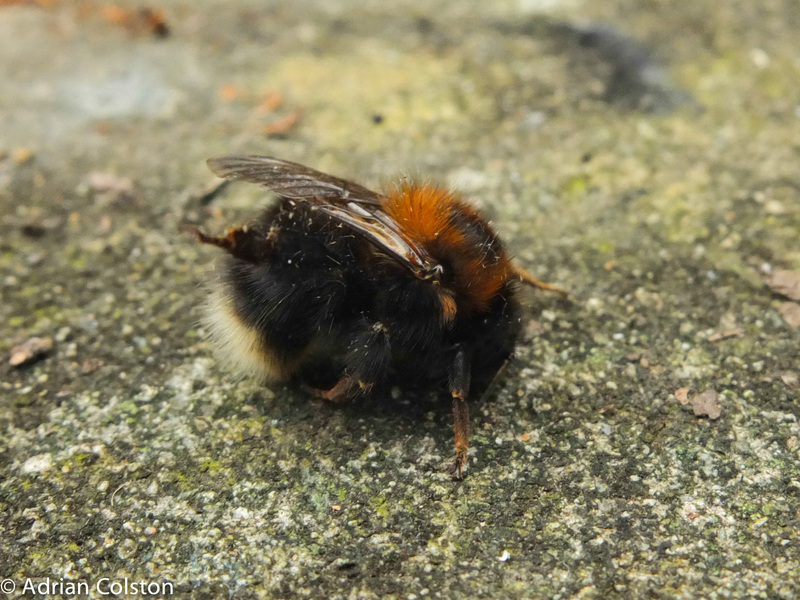 And finally there was a rather sleepy Tree Bumblebee in the trap as well – a recent colonist to Britain but one that has been very successful and spread far and wide. There was a very cold and tired buff-tailed bumblebee in the moth trap this morning. So named as it can be a pest in commercial bulb fields as the larvae feed on daffodils. In my garden (and most of lowland Britain) however it probably feeds on the odd bluebell and isn’t a problem. 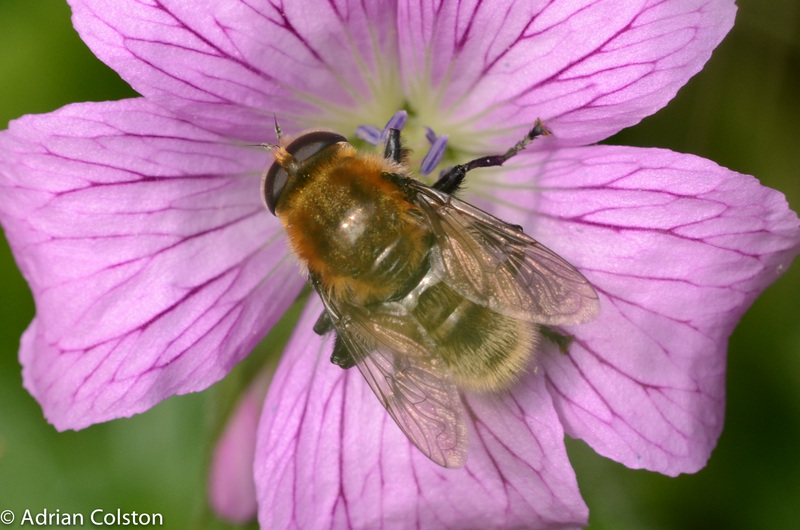 The Large Narcissus Fly (Merodon equestris) is a hoverfly and is yet another one of the species which is a bumblebee mimic (also see here and here). The species has several forms to mimic different species of bumblebee. 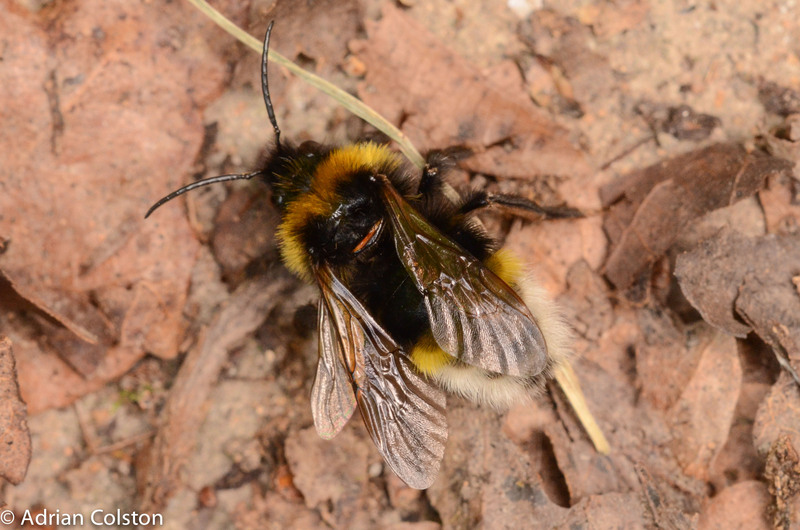 This animal is the form narcissi and is a mimic of the Common Carder Bumblebee. 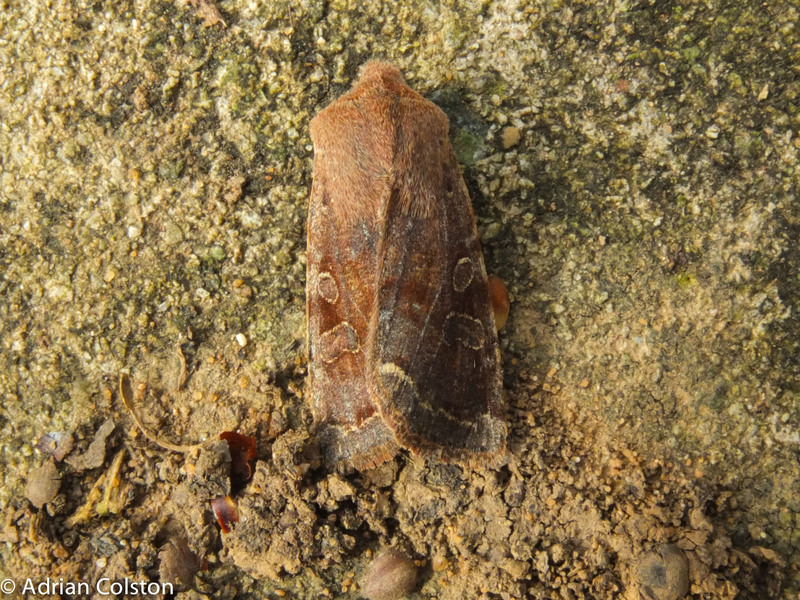 Both insects are now on the wing in Devon and both are quite common. Yesterday I noticed half a dozen bees ‘dancing’ around the guttering at my house. I had never seen such behaviour before so I watched for a while and then temporarily caught one of the bees in a net to see what it was. 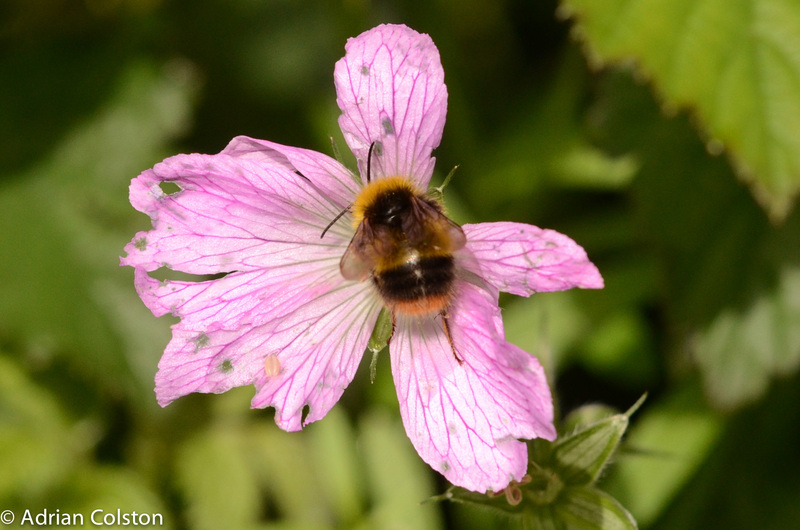 It turned out to be a tree bumblebee. 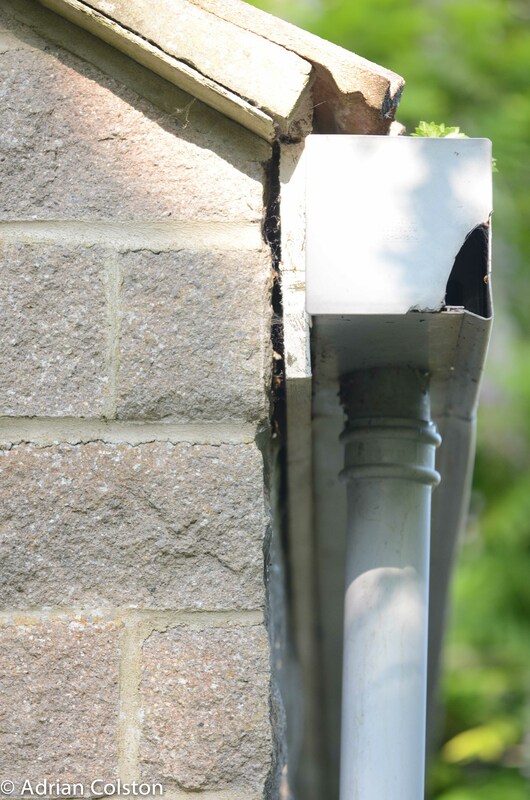 A bee going up under the guttering and making a nest. 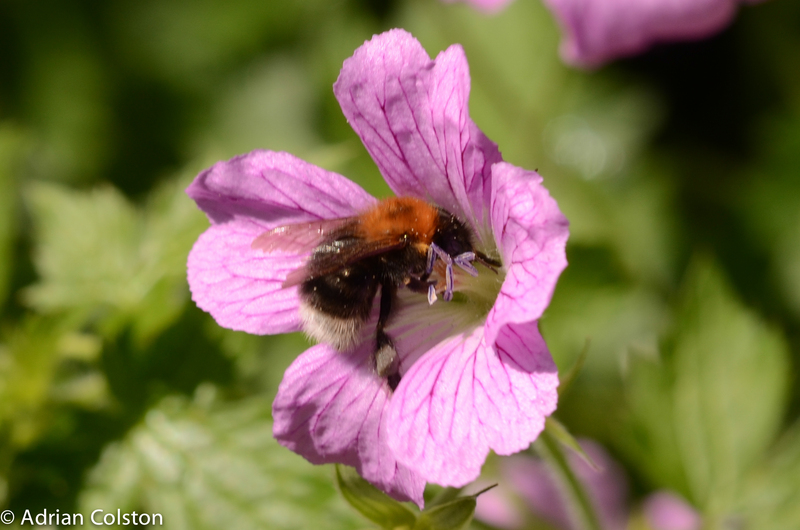 I found a very useful piece on the Bumblebee Conservation Trust’s website on tree bumblebees which explained what was going on – see here. The ‘dancing’ of the bees is known as nest surveillance and is a pre-mating display. The dancing bees are the drones, in due course a queen will emerge and mate with a male. This behaviour appears to be unique to tree bumblebees. 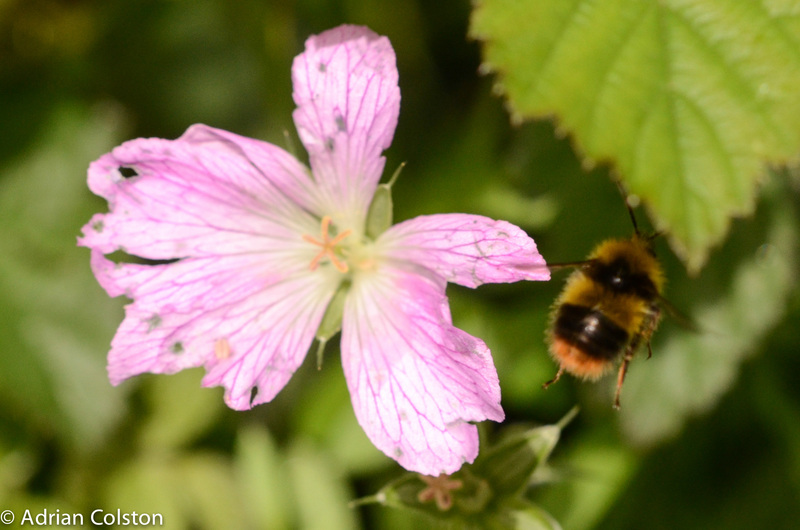 Tree bumblebees first naturally arrived in the UK in 2001 and have spread widely since then. I photographed this individual last June on Lundy. 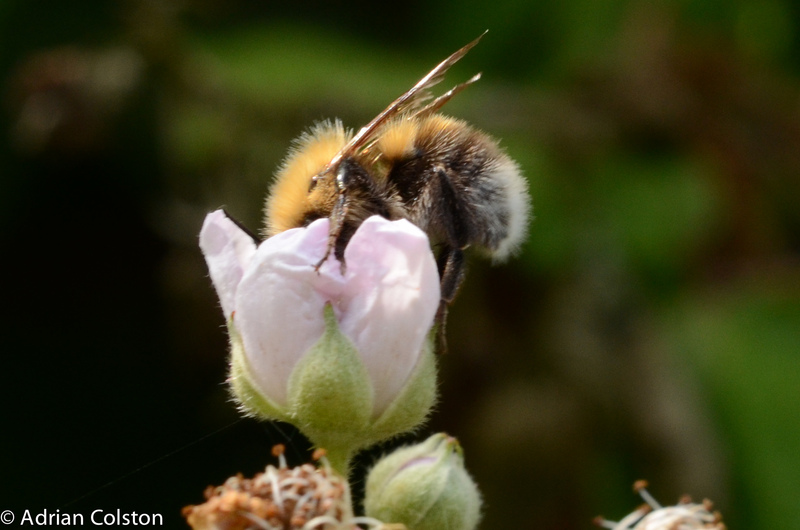 This photo shows the very distinctive marking of a tree bumblebee – the ginger thorax and the white tail. It will be interesting to see if the colony under the guttering develops and thrives. 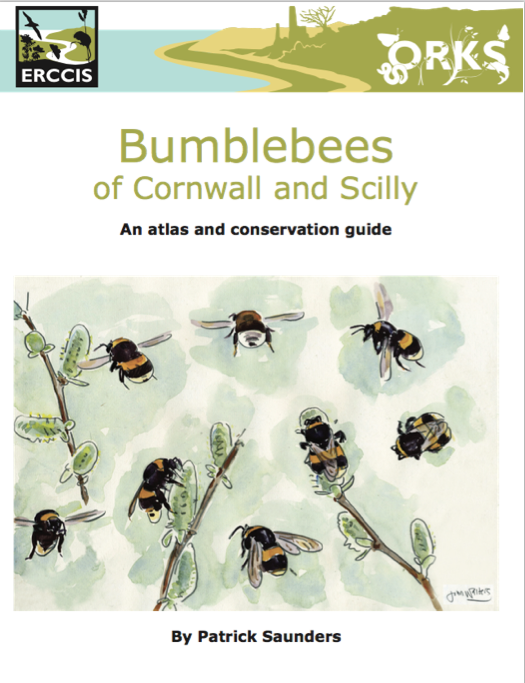 If you are interested in bumblebees you might like to download (for free) a new publication on the Bumblebees of Cornwall and Scilly by Patrick Saunders. It is very informative and useful. The only thing to note is that it is a large file (38 mb). You can download it from here. The cover illustration is by the Dartmoor naturalist and artist John Walters.